After a scintillating start to day 5, Disha Patani, Tabu and Amyra Dastur took over the baton and impressed us. The actresses walked the ramp with poise and looked really refreshing and stunning. 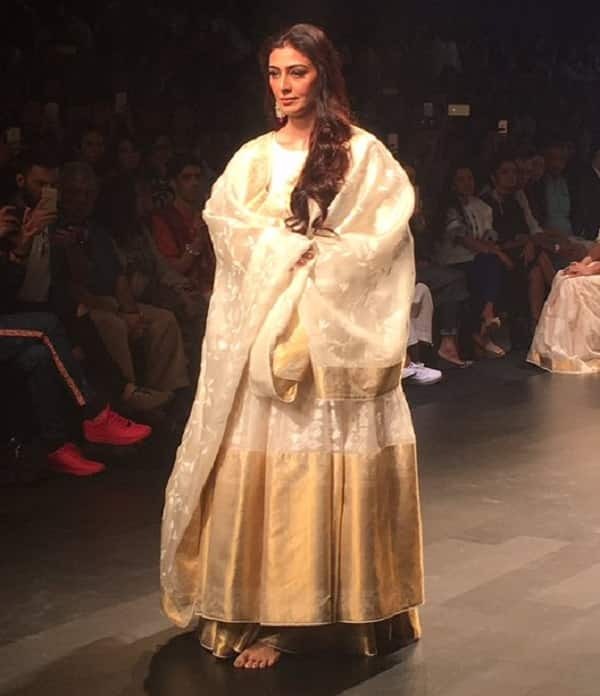 While Disha walked for Jayanti Reddy, Amyra walked for Karn Malhotra and Tabu walked for Gaurang in the afternoon shows. Disha looked sizzling in a blue lehenga choli. Her outfit had a lot of intricate golden, floral embroidery. Disha paired her outfit with a printed dupatta and a diamond necklace. Tabu, on the other hand, wore a beautifully draped, white Indian saree. It had a lot of floral, white embroidery, which uplifted the outfit. Meanwhile, Amyra sported a blue tulip inspired silhouette. The dress was glittery and glamorous with a lot of dramatic cuts and tassels. The actress truly looked like a diva in the dress and we couldn’t take our eyes off of her.